We are very excited to be going to Phoenix AZ for ISTFA 2018. This is always a great show and we are looking forward to meeting with friends and making new ones. Please visit us at Booth #428. 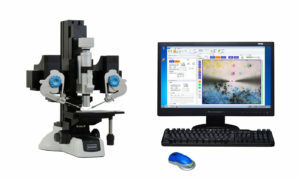 The Nanopsis N is a cutting edge light microscope which can break the optical diffraction limit using the Super-Resolution Microsphere Amplifying Lens (SMAL).